Unless you are much passionate about open source, as an application developer, you would always need your applications profitable, especially if they are free ones. When you up ‘free’ label for your application, as you know, you lose your chances for being paid for each installation. However, in most of android application advertisement networks, you would have to compromise with the user-friendliness of your application, as advertisements will not seem good for all your customers. Thus, you need a revenue-based advertisement programme from which you can monetize your application without affecting user-experience. mobileCore is a member from ironSource, a software distribution platform. This service is the best solution you can use for monetizing your application without interrupting your users. ironSource is a company which made about $140 Million in 2012 with their team of about 200 employees and developers. 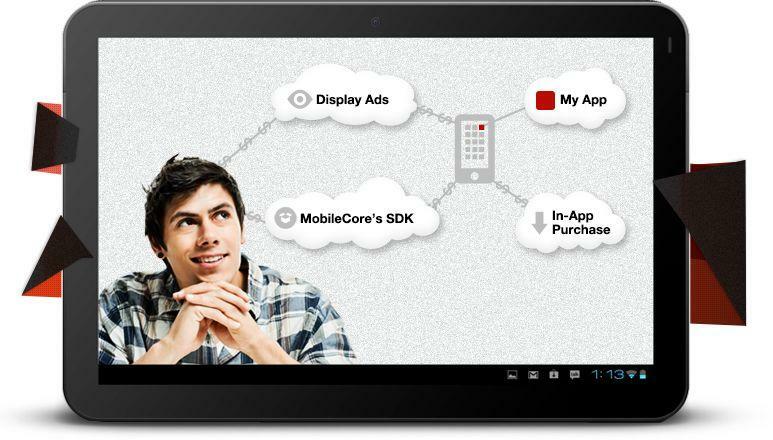 Just like all other programs, mobileCore also requires their SDK to be embedded in your application in order to publish apps with ads in it. As far as we have seen, advertisements shown in your application via this network is purely non-intrusive and sometimes it can increase user engagement as well! Once you have finished the development sections of the mentioned SDK, this application itself integrates relevant advertisements in your application, without any interruptions. When it comes to advertisements from mobileCore network, you have multiple choices to select. Just like all other advertisement networks, mobileCore uses the famous Pay per Install method in which developers get revenue when one user installs applications from promoted apps list. For each install, the dev will get 75% of revenue! 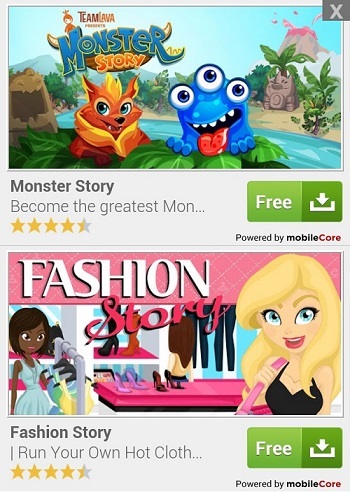 There are two major options for monetizing your application via mobileCore. Both of these options are available in a user-friendly manner, indeed. If someone has downloaded your free application from Google Play Store, you can simply conclude that he/she is interested in checking out free applications for his device. mobileCore consists of an advertisement section, which exploits this finding. 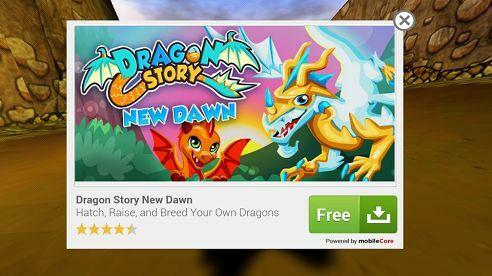 In these kinds of ads, the application will show a pop-up window, featuring one free application, available for download. Once your customer has clicked on the image, he/she is redirected to the download page and you will (of course) get decent revenue in your virtual wallet. Hence, One App Wall is a good method to earn from mobileCore advertisement campaigns. As we said before, One App Wall does not interrupt application’s user-experience. This is the extended version of advertisement campaign, which we mentioned above. Two App Wall shows two application links in the pop-up window. You shall prefer the current version to the former one, when building apps for big-screen devices like Tablet PCs. There will be two links in the pop-up window, which offer completely free applications to your customers. On the other hand, if the user does not want to use the offered app, he/she can skip the advertisement by clicking the ‘close’ button and jump to the actual application. Thus, App Walls can always preserve that user-friendliness in your applications even when you are monetizing it. So you can easily figure out that using these pretty banners the devs can easily increase the CTR in their apps hence improving their earnings significantly. This is the most attractive portion of mobileCore as a monetising SDK. 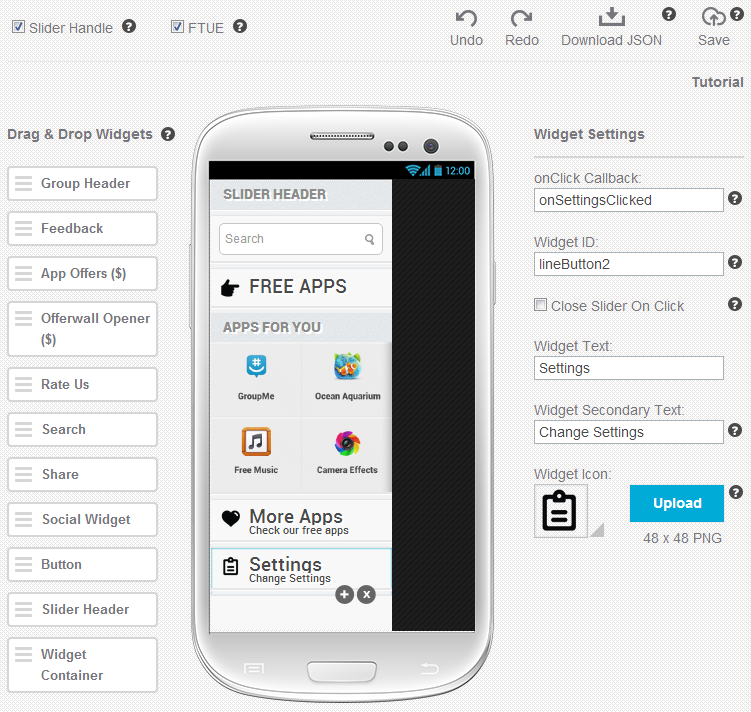 Using slider, you can insert a cute slider into your application, which in turn increases the user engagement as well. You can add any options you want using the mobileCore development dashboard. You can see the attached picture below to know how many options they provide. In the slider, you can see various options like sharing the application, rating apps in Play Store, send feedback feature, etc accompanied by a small section of advertisement, listing free applications. On the first look of a user, this slider would not be counted as an advertisement unless he/she notices that app download section. Moreover, once SDK is installed, this slider is annexed to the application and the developer does not have to integrate other sharing or feedback features into the application. However, there is also a special option for disabling the mentioned slider. Reading together what we said above, mobileCore is a good way to monetize your Android application without interrupting user-experience of your application.